Good news for Boston condo buyers: despite the recent and much-anticipated federal interest rate hike, actual mortgage interest rates have barely budged. That’s good news for buyers, who can expect to ride this low interest rate train for a while to come, til rates up sometime in 2019. Just because rates are low doesn’t mean Boston condos buyers shouldn’t scrutinize everything about their loan! As a real estate buyers’ agent, I always advise my clients to avoid these common pitfalls. 1. Get your acronyms in order. There are a few tools that home buyers can use to comparison shop for mortgages, and they may look like alphabet soup at first. 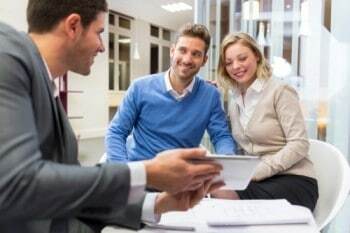 A Good Faith Estimate (GFE) includes basic information such as the lender name and address, sales price, loan amount, interest rate, and type of loan. Then there’s the TIL (Truth in Lending) disclosure, which provides more details, and most importantly, APR. This little number is far more useful than the mortgage rate itself, because it includes points and fees. When you compare loans from lender to lender, be sure you’re comparing the APR and not just the interest rate! 2. Ask for a recommendation. As a downtown Boston real estate agent overseeing a hundred plus sales each year, I get to know a lot of mortgage companies and mortgage brokers. I have excellent recommendations waiting for you, just ask!
. Most home sellers will not even look at your offer unless you are sending an up-to-date pre-approval letter along with it. A pre-approval is easy, an approval is a lot harder. Once you have an accepted offer, you’ll want to make sure you can meet the closing date on time. Do do that, your lender has to get you through the approval process quickly. Know ahead of time what papers you’ll need to apply for that loan. Most lenders require, at the minimum, bank statements, tax returns, W-2 statements and recent pay stubs to prove your income and assets, however, your lender will know the specific paperwork they’ll need based on your financial situation. 5. Lock down that rate! Use your real estate agent. After closing on hundreds of homes, I know the tricks as well as the hazards of applying for and obtaining a mortgage. Your loan officer and your real estate agent are both part of your team in making these decisions and ultimately, buying your Boston Seaport District condo at a price you can afford in the long term!